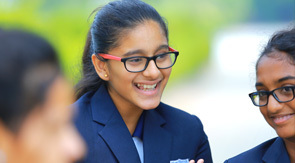 Manchester International School administrative team aims to manage their operation and resources in an effective and accountable manner so as to raise the standards of learning and teaching and thus improve the students' learning outcomes. Hence, we have devolved more responsibilities and provided necessary resources, autonomy and flexibilities so that admin team can respond proactively to the needs of the students and the community in the delivery of educational services. Our Administrative team comprises of smart individuals who are always there to provide support and guidance. Our new administrative block is designed to support the needs of all stake holders with well architectural planned offices and conference rooms. We welcome suggestions and are open to bring a change for the betterment of the school community. The administrative team can be contacted via phone from 9 am to 5.30 pm or 24*7 via email.